Insurance can help protect your assets while creating peace of mind for the future. 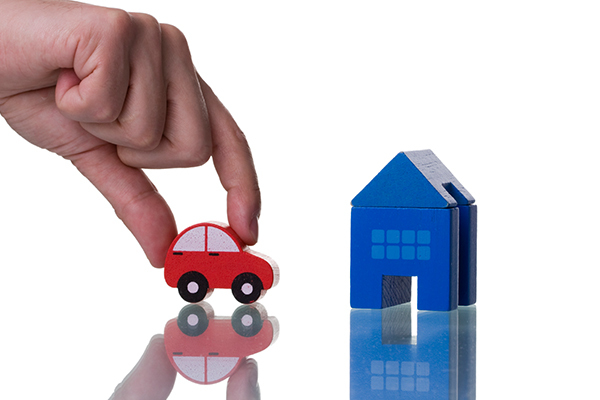 We offer a full range of insurance products with personalized service and affordable prices. We're here to help you when the unexpected happens, like a fender-bender or a tree crashing through your roof. Providing a broad menu of insurance options, quotes are always without obligation and you do not need to be a member of Via Credit Union to take advantage of insurance products. Beth Combs joined ViaInsurance Agency in 2008 and has been a licensed property & casualty agent for over 35 years. She holds insurance designations for Personal and Commercial insurance. Receive a free, no obligation quote online! You may also call 765.733.9058. Members of Via Credit Union who are 18 years or older, are eligible for $1,5001 of Accidental Death and Dismemberment (A&D) insurance coverage paid by ViaCU. In addition, members are pre-authorized for additional coverage up to $300,0001 with no medical exams or health questions. Enrollment in this coverage is not automatic. This product may not be available to residents of all states. Please review the complete terms, conditions & exclusions and enroll. 1 Benefits reduce by 50% at age 70. For California Residents: Insurance product offered by Affinion Benefits Insurance Services, Inc. Chubb is the marketing name used to refer to subsidiaries of Chubb Limited providing insurance and related services. Insurance provided by Federal Insurance Company. Chubb, P.O. Box 1600, Whitehouse Station, NJ 08889-1600. Insurance products are offered through ViaInsurance Agency, a subsidiary wholly owned by Via Credit Union. Insurance products are not deposits in, obligations of, or guaranteed by Via Credit Union and are not insured by the National Credit Union Share Insurance Fund (NCUSIF), or any other agency of the United States. Any insurance required as a condition of an extension of credit by ViaCU is not required to be purchased from ViaInsurance Agency and can purchased from an agent or insurance company of the member's choice. Copyright ©2019 Via Credit Union.